Translating your eLearning course for global eLearning audiences offers a wide range of advantages. However, you can only reap these rewards if you manage to successfully localize your eLearning course for your international learners. In this post I'll share some of the most common eLearning translation mistakes that you'll want to avoid. eLearning translation can prove to be challenging, even if you have a vast amount of eLearning experience under your proverbial belt. The process can be less stressful and more successful if you steer clear of a few key mistakes. Here are a few of the most common eLearning Translation mistakes, as well as tips on how to avoid making them when designing your localized eLearning course. Using images and graphics that aren't translation-friendly. Opting for images, navigation icons, or graphics that contain embedded text which cannot be translated or items that aren't relatable will make your learner disengage from their learning experience. They simply won't be able to understand or connect with the content, which will take away from the true value of your eLearning course. When choosing images for your eLearning course (even if you aren't planning on localizing it for some time), try to select ones that are free of culture or country-specific images. In fact, it's often wise to go with images and graphics that are more globally recognized and accepted, such as an envelope to represent an email contact link. Also, if at all possible, avoid using images that contain signs or gestures that are typically only found in a particular country or culture. For example, a graphic with a stop sign may be recognized by those within the U.S., but not by certain international audiences. Diving into translating without putting in some research time. One of the biggest eLearning translation mistakes is to dive in head first without first researching the subject matter, audience, and company needs. If you want to offer your learning audience the opportunity to achieve their performance goals and learning objectives, then you need to know what those goals and objectives are and how your content can best serve them. 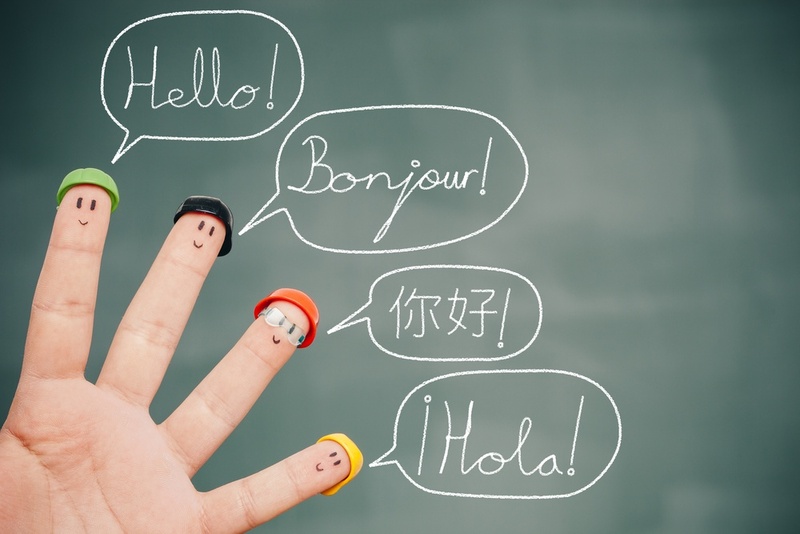 Before you begin the translation process, learn as much as possible about client expectations, the educational and cultural background of your learners, and what they need to take away from the experience. Are there words or images that may not be appropriate? Are there specific photos that need to be included in order to make their version of the eLearning course more realistic and relatable? Conduct a survey, interview, or focus group beforehand, or speak with the department heads, to get an idea of what should (or should not) be included when translating your eLearning course. Using slang or culturally-specific jargon. There are words or phrases that may be widely used in some countries, but would be completely misconstrued in others. For example, some phrases we use simply would not translate well, and would only serve to confuse the learner rather than add value to your course. As such, to avoid these eLearning translation mistakes, be sure to leave out slang or culturally-specific jargon that may eventually hinder the overall learning experience of your international learners. In fact, when you're writing your original eLearning course content, you may want to keep this “rule” in mind and omit any of these items in the first place. It's often best to keep your content concise, clear, and relevant. Don't be too verbose, and avoid using technical jargon (unless absolutely necessary). Also, steer clear of acronyms that may not translate well. If you need to include the name of an organization that goes by an acronym, speak with a subject matter expert or translator to see how you would go about translating it into the target language, or just spell out the name of the organization. Not having a translated script for audio/video elements. Undoubtedly, you've spent a fair amount of time developing the audio/visual elements of your eLearning course. Therefore, you'll want to spend a good deal of time now ensuring that they are properly translated in order to give your learners the best possible learning experience. This will often involve a detailed script with time markers, deciding whether you want to do a translated eLearning narration or captions, and finding the perfect narrator to reflect the tone of your course, if opting for an eLearning Course Voiceover. Also, make sure that your audio and video components are free of those culturally-specific images and graphics I mentioned earlier. Not leaving enough space for the translated text. While the quality of translating your eLearning course is of the utmost importance, it won't make much of a difference if it won't fit into your existing eLearning course template or layout. Some languages will take up more space on the screen, which means that you'll have to leave ample room for expanding text. Then there are others that become condensed when translating eLearning courses, meaning that you may be left with an abundance of white space. As such, you'll want to choose a layout that is flexible and can accommodate for a wide range of language texts. Also, go with a font that can be used in a variety of markets, rather than one that is customized and may lead to confusing or jumbled content when it's translated. Avoiding these eLearning translation mistakes can help you to create learning experiences that are always relevant, relatable, and effective for your users, even if they happen to be a world away (both geographically and culturally) from your original learning audience. Want to learn more about the eLearning localization benefits of translating eLearning courses? In the article eLearning Localization Benefits and Tips, you will find 4 benefits of eLearning localization, as well as tips you can use to successfully localize your eLearning courses for international audiences. Last but not least, are you an e-Learning professional concerned about the best way to have your program reach non-English speakers? You are more than welcome to check the article 7 Sure Fire Translation Tips for e-Learning.